Today, our emotion word is JOY. Are you living in it, letting joy be present with you? I listened to someone – Matt Hammitt – talk about giving your whole heart to the person that you love today. My joy thought journey began with his song “All of Me.” I remember the day that Taryn was born from the second that we woke early, drove to the hospital and spent the day inducing labor. Our girls were all there – four anxious teens and preteens – and the setting was nothing short of magical. We’d prayed, loved, cared for that little unborn baby. Still, somewhere on the edges of my mind was that fear that something was wrong – and I kept telling myself it was not real. It was an image from my dreams of Taryn being carried from the hospital in a small white coffin. It never really left me. Taryn went into a coma the next day, experienced open heart surgery at 72 hours old, again twelve hours later….and finally, after 30 days of ICU, there was a new baby in the Rodgers House. Today, that beautiful girl is a precocious seven year old who is in the midst of redecorating her room. She is the delight of our communal life…and lobbying for the presence of a – “her” – baby brother full time. Joy comes in so many ways. There is joy that is borne in a trial in your life, the hardest moment that you can imagine living through. I remember being on the floor of the shower the night after Taryn was born, sobbing with my own broken heart. I was crying out to God for all that was in my soul, ready, willing and totally okay with changing my life for hers. I remember the sounds of the NICU, of her monitors going off, of her long “walk” to surgery at five in the morning, as fast as my swollen legs would let us travel. I remember kissing her goodbye….and then hello again. But for that 118 minutes of heart lung bypass when her heart was no longer beating, I am pretty sure that I was dying, too. Joy. Tears that became joy. I’d known love in the children of my life…but never had that chance to know what it was like to be willing to give your life for them. It’s an odd experience, but one that makes me understand my life and choices much better. Nothing has changed in how I love these children – each a unique and beautiful woman now – nothing has changed in my love for the Taryn Brin. Joy. Pure joy. It’s my little daughter that “makes me” want to be a better person, to show her the world in a new and adventurous way…to know love as she grows confident and strong. Then, I read my own posting from yesterday, I realized that it isn’t Taryn that brings this out in me….it’s love. Joy. To be my best as my best so that she can choose it, too. Joy doesn’t have to have a great crescendo moment or be made of diamonds. Joy is in the moments that we play Monopoly with Dad/hubster Brian, who is a merciless Monopoly master. (It’s okay. I cheat.) Joy is in the moments that Taryn’s singing in the shower, that she’s recording her new web show, or writing a book like mommy. It’s in the spelling words and running in the back yard. There, I find joy. It’s in my husband’s laughter over a really dumb movie, or the two of them together playing soccer in the yard. Simple joy. “You’re going to have all of me.” I listened to that song and thought about my life, how I have loved, choices I have made….roads not traveled. Yes, there is regret in my heart. I am working on letting that go. One of the things that I realized is I still had that one last cookie in the jar, the loss of love that I never understood, the holding back that no one would ever hurt me that way again. Then I though about “Joy.” How grateful I am to be here at home, to have my husband who is this amazingly strong, confident man who against all odds loves me…and only me. To have terrific daughters, a beautiful home, a promising career…and the peace and love that fills my heart. Joy comes with gratitude. I am so, so grateful for my life. I took the proverbial cookie out and decided that even if it’s not enough, I am going to love my family – all of them, even the ones that I don’t like – with a full and honest love. One that isn’t self protective as much as self aware. One that lets me be me and them be them. Group discussion in an open, supportive environment - great for the heart. 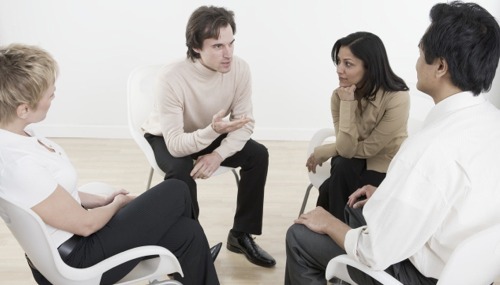 I want “group cohesiveness” to coin a phrase from my favorite class at school. I’d like to let our cultures and differences, thoughts and ideas all come together and help one another….no drama, just working forward. No judging. How is that for a moment of joy in your life? 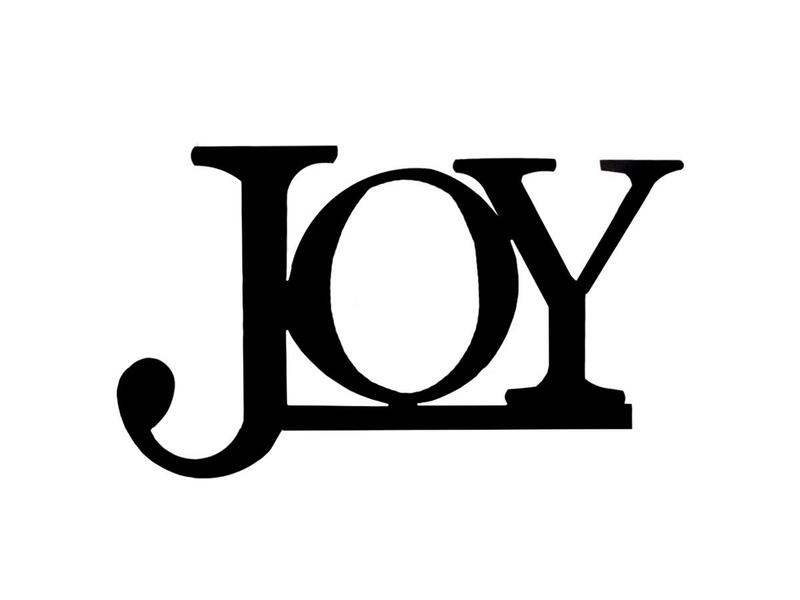 So that is the musing of the day about the word “joy.” I’ve “Googled” it, thought it through, talked about it and used it in a sentence. Have you? That was the assignment, right? I took that first step in goals as well and wrote a new paragraph for my book…and began that outline for the one that I considered not writing at all. I love the song. I hope that you listen to it, and that it resonates with you as it does me. I have to love all of me to give all of me….and I am just getting there. Be kind to yourself and those that you meet ~ and experience your joy.